Mortgage pre-approval is the first step in the home buying process. Shopping for a pre-approval helps you gain the best loan at the lowest cost. Considered superior to pre-qualification, pre-approval involves a more thorough analysis of your financial situation. A lender's representative, or loan officer, looks at your pay stubs, tax returns, bank statements and your credit report to determine the loan amount you can afford. Two to three pre-approvals usually suffice for finding the best deal. Mortgage lenders use retail banking branches and mortgage brokers to originate loans. You can visit a local bank to get loan options from a single lender or access several wholesale lenders' options through a single mortgage brokerage. Brokers receive lower interest rate offers from wholesale lenders than the general public can get from a retail branch. Brokers, however, charge origination fees, or points. Loan programs and qualifying standards vary by lender, which can make it confusing and difficult to shop among many lenders. Two or three lenders is the norm for shopping your mortgage, says Smart Money. Because lenders compete for business, their pricing and loan options tend to vary minimally. Two different types of lenders or three retail banks give you a good idea of what's out there. The conditional pre-approval letter stipulates the loan amount you can expect to be approved for if you meet the lender's requirement for a valid appraisal, title report and verification documents. Pre-approval is based on interest rates for the day on which you gain the approval, so they can change without notice until you lock in the rate. Changes in your credit activity can also alter your pre-approval. 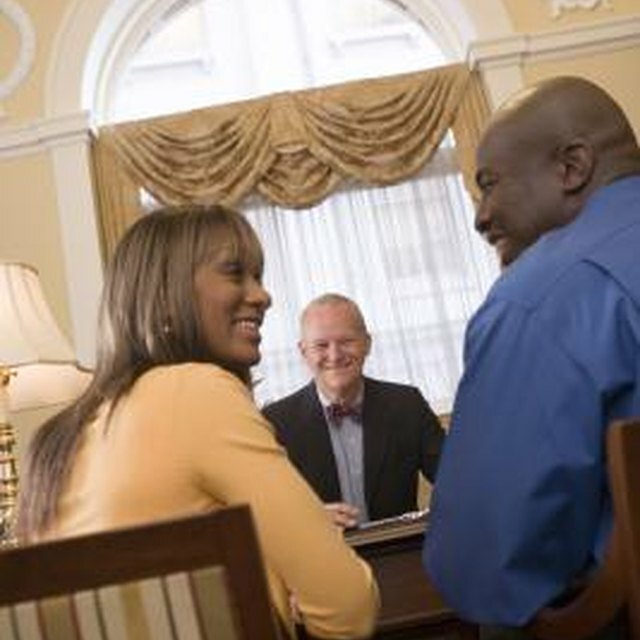 Lender trustworthiness is more important than the number of lenders you gain pre-approval from. Lenders generally provide similar answers to the most common borrower questions, which revolve around interest rates, fees and points. Instead, start with referrals and ask the right questions, recommends Credit.com. Ask friends, family or real estate agents for referrals and check the lender's references by asking if the lender delivered the interest rate promised, if they encountered unexpected fees and whether the lender was responsive and an effective communicator. Review the Good Faith Estimate each lender is legally obligated to provide within 3 business days of your application. Designed for easy comprehension, the estimate shows the closing costs which your lender has control over and may not change at closing, costs that may vary by up to 10 percent and fees which may change indefinately. The GFE is supposed to match the final settlement statement, or HUD-1, at closing in terms of closing costs and monthly payment. Credit.com: What Are My Options in Choosing A Mortgage Professional?